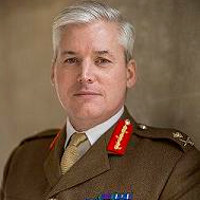 Congratulations to Major General Angus Fay who The Queen has graciously appointed to the Most Honourable Order of the Bath (CB) in the New Year Honours List 2018. He is currently serving at the Ministry of Defence Head Office as the Assistant Chief of the Defence Staff, Logistic Operations. He started his military career in 1983 and served the majority of his early Regimental Duty in Hong Kong with the Brigade of Gurkhas and has maintained his close connection ever since. Fully committed to The Queen’s Own Gurkha Logistic Regiment and his Gurkha comrades, he is Colonel of The Queen’s Own Gurkha Logistic Regiment and is also a Trustee of the Gurkha Welfare Trust.